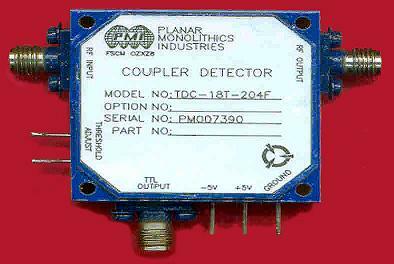 PMI Model TDC-18T-204F is a High Speed, Adjustable Low Loss Coupler Detector, with the Output Optimized to Operate from the 2.4 to 2.5 GHz Frequency Range with a VSWR of 1.5:1. 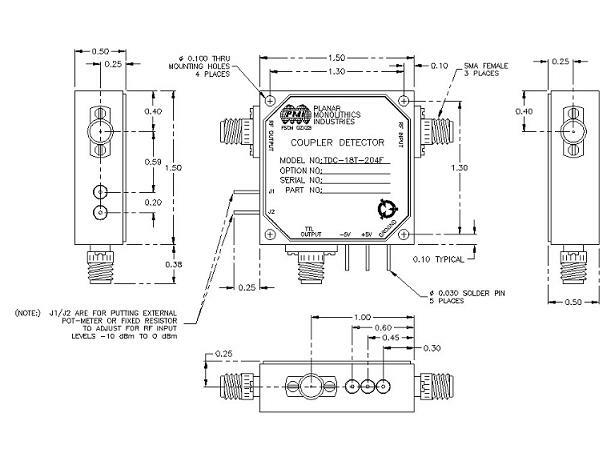 This unit comes with SMA Connectors on the RF Input/Output and TTL Output, with Solder Pins for the DC Power and Control Pins. Size 1.50" x 1.50" x 0.50"